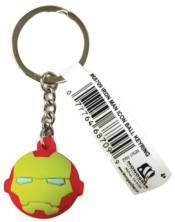 The Marvel Heroes will protect your car and house keys with these new keychains! Each figures a ball-shaped dangler of your favorite characters! Choose from Captain America, the Hulk, Iron Man, or Spider-Man.